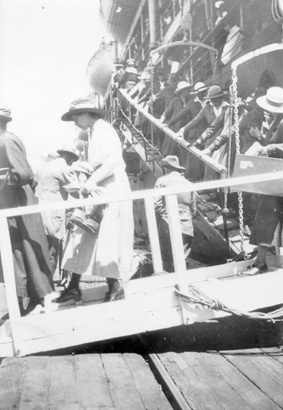 In the years after the Second World War migrants provided much-needed labour for Australia's reconstruction and industrialisation as well as human capital for the nation's defence. The popular belief was that Australia must 'populate or perish'. 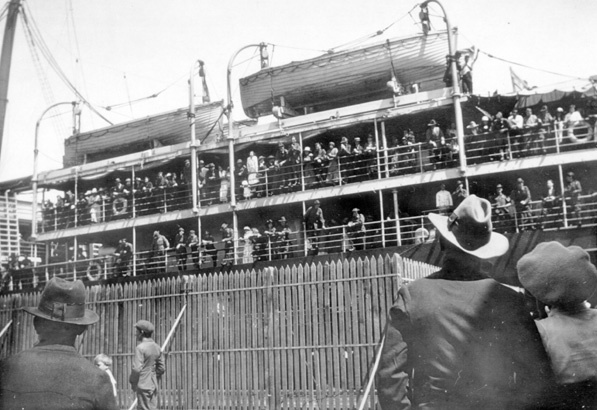 It is important to remember that during the war Australia had been on the verge of invasion from Japan - a national experience which reaffirmed the racist xenophobia which gave birth to the White Australia Policy some fifty years earlier. 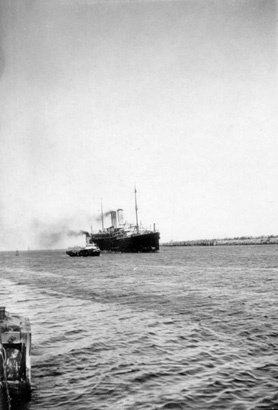 After the Second World War Australia embarked on a grand adventure to expand its small population. It was a great adventure based on fear. 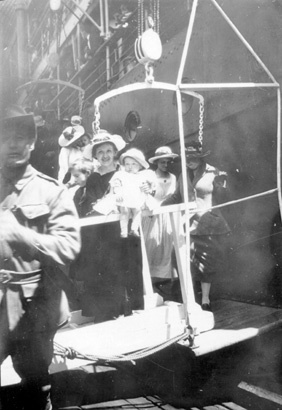 British migrants - like the miners pictured above - were welcomed with open arms as were war brides arriving from Britain. 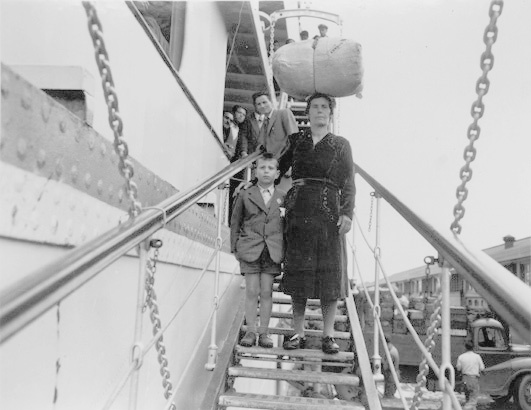 At the same time European migrants, bringing languages, customs and experiences different from those of British migrants, also began to arrive - often as refugees or displaced persons from eastern Europe.